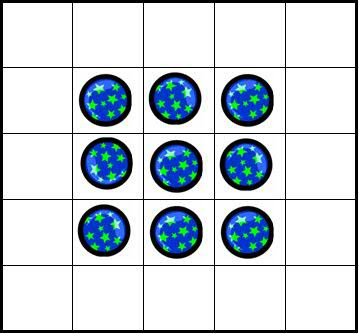 Place tokens in the nine center squares of a 5 x 5 grid. Remove the tokens one at a time by performing jumps, like in the game of checkers. You may jump in any direction, but you may only jump one square at a time. Can you remove eight tokens with the remaining token positioned in the center square? i am having trouble with this. What's the solution? ?